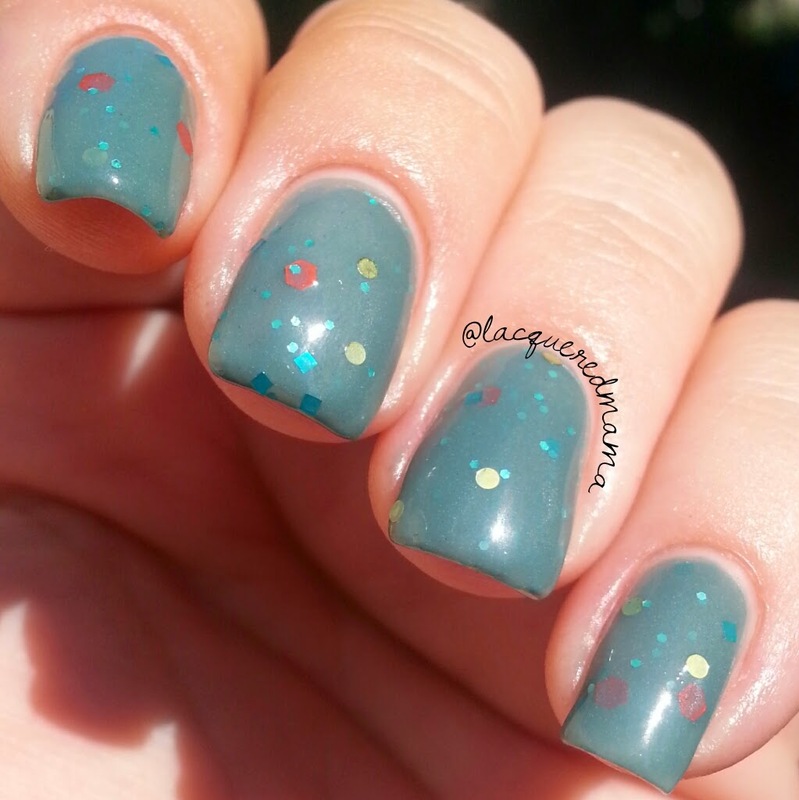 Hi everyone, I have some beauties created by Jessica of Beautiful Disaster Nail Lacquer. 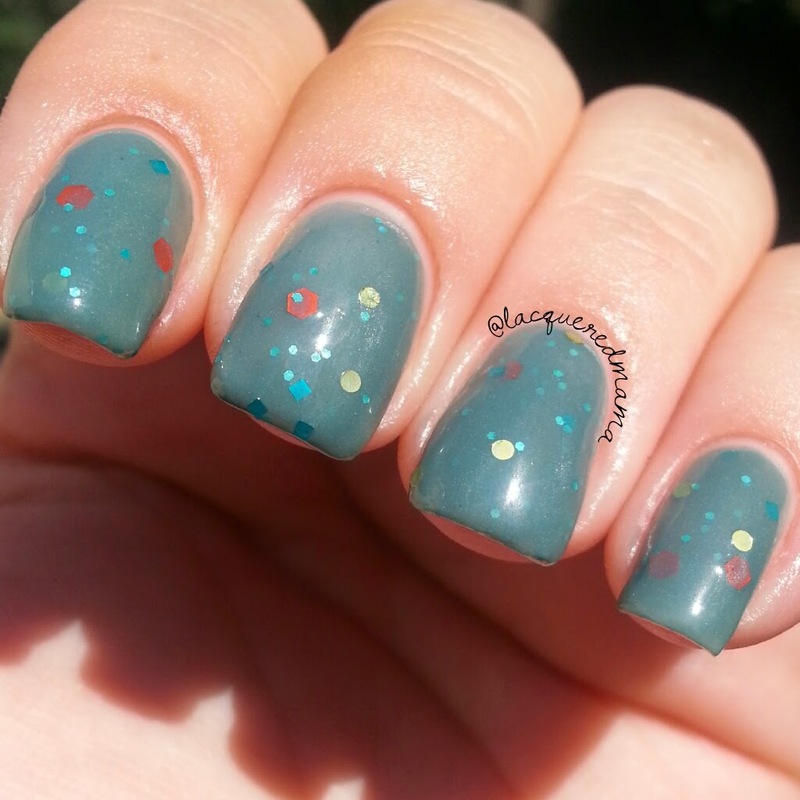 She currently creates handcrafted 3 Free polishes, which will mainly be released in collections, with a few singles here and there. Jessica will also do custom creations upon request. 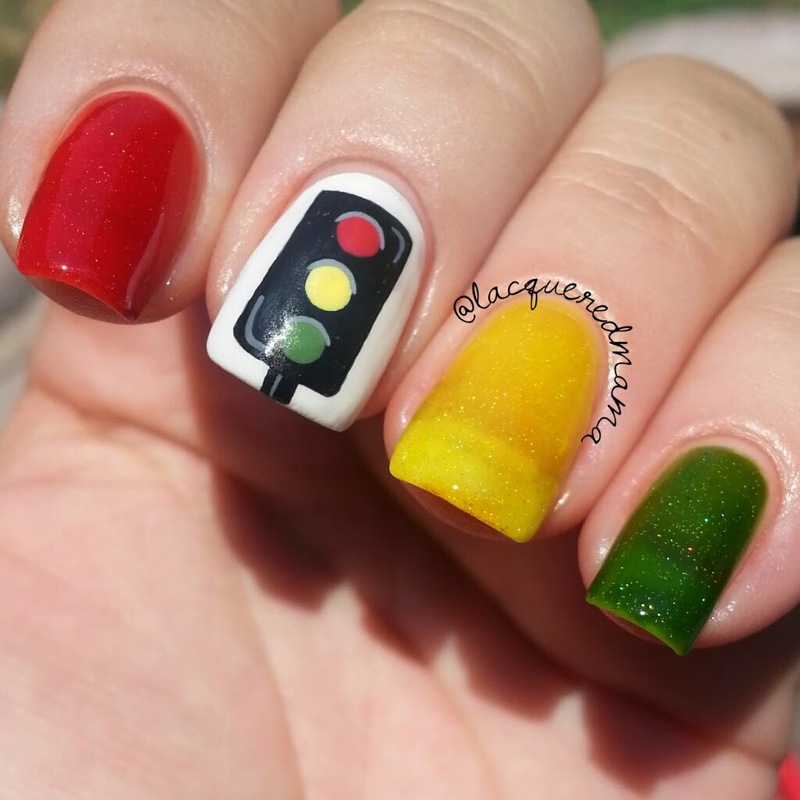 Today I have Beautiful Disaster Nail Lacquer's debut collection, the Stoplight Party trio and a new single that will all be released August 1st! 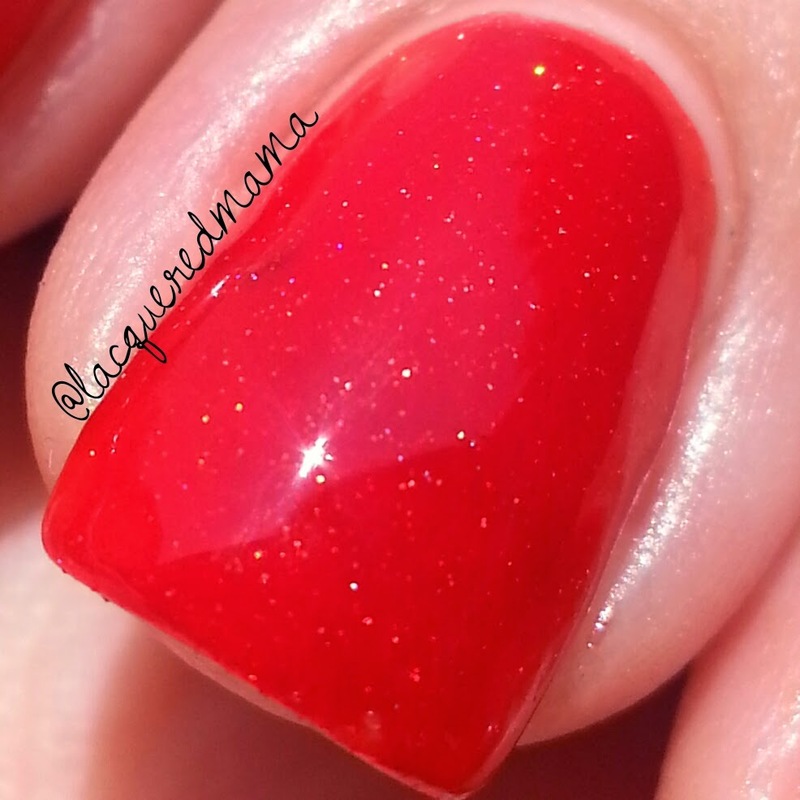 First is Off the Market - this one is a beautiful, stop sign red in color, and has a really excellent formula. You may be able to get away with 2 generous coats, but I did 3 for good measure. 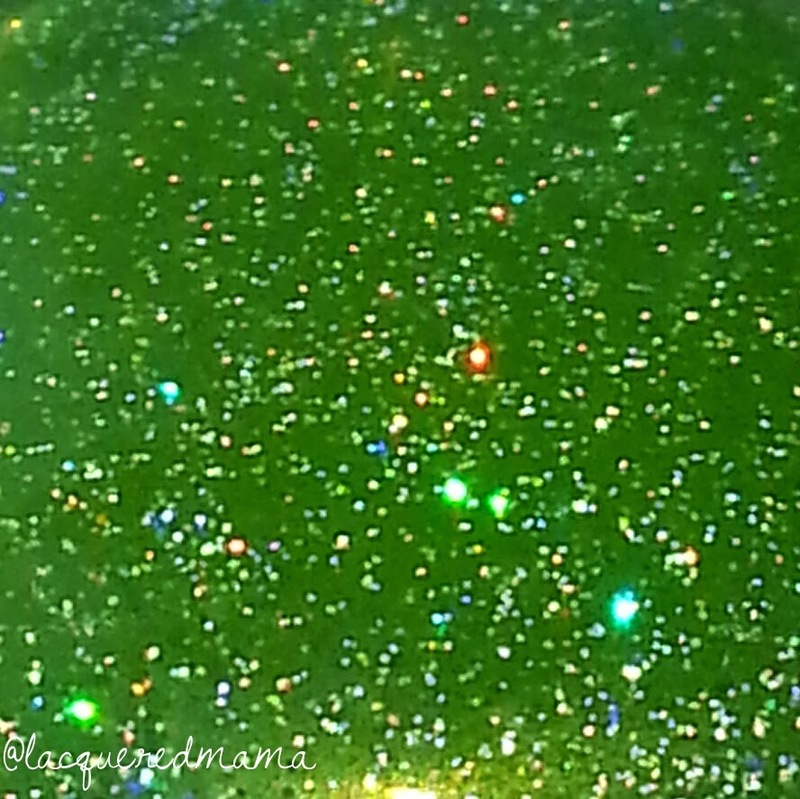 This is scattered holo jelly with great pigment, so I didn't use any undies. 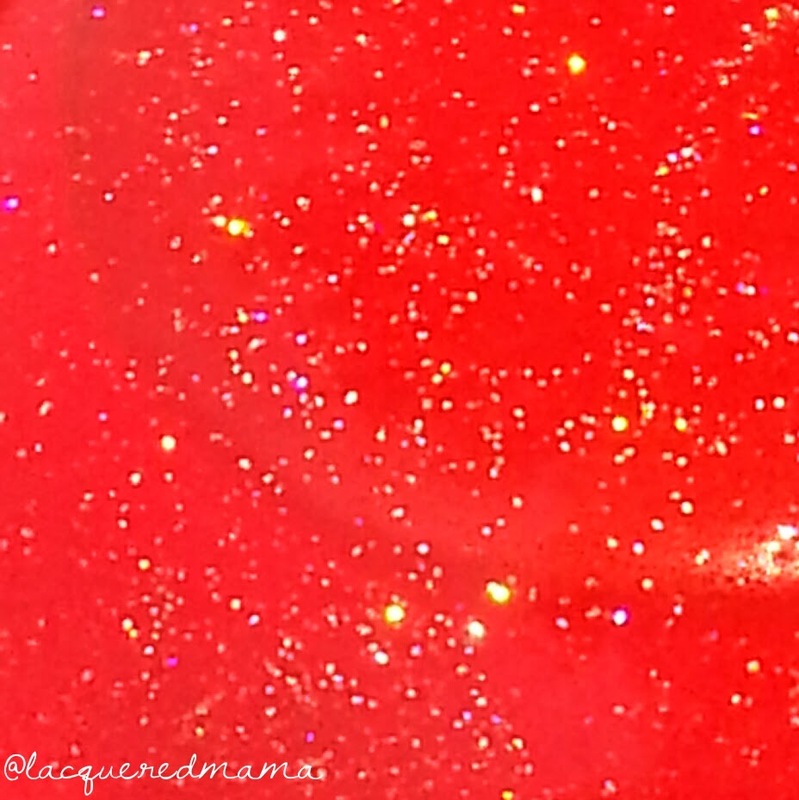 This also dries to a really shiny finish all on its own, but I am a topcoat maniac and just had to add it..haha! 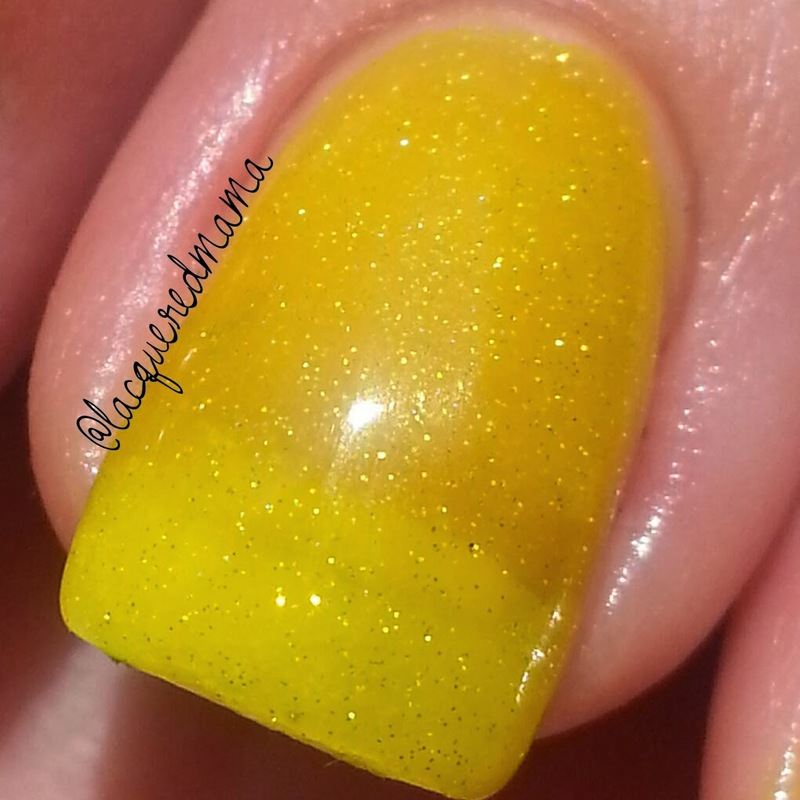 Next is It's Complicated - this one is a lovely yellow scattered holo jelly with a pretty darn good formula. It is much more sheer than the red, so you may want to combine it with an undie, but I decided to go naked! Bown..chika bown bown! I did 3 generous coats, plus topcoat. 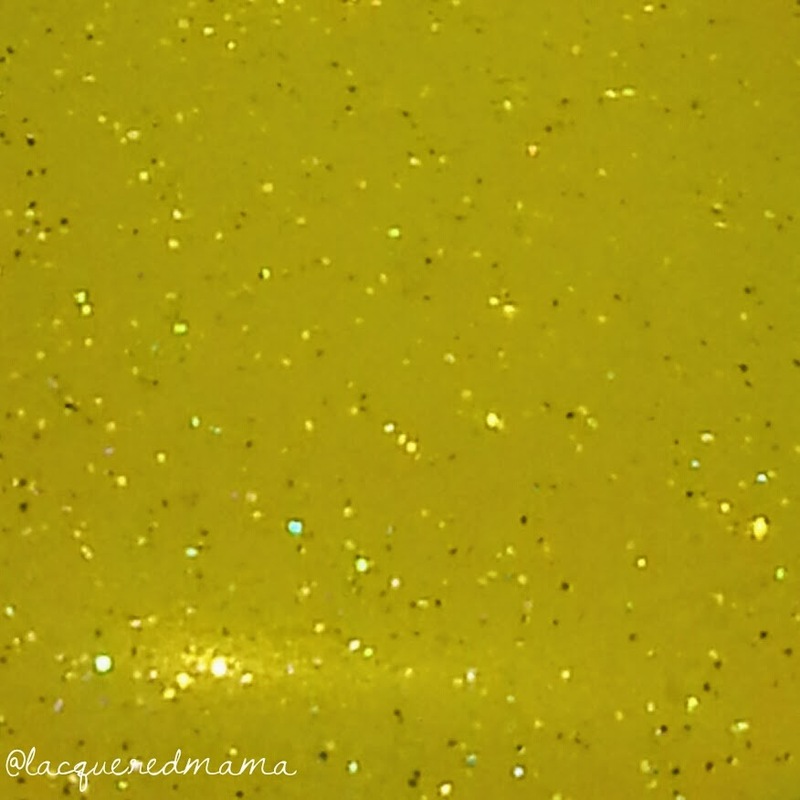 Many of you know that I am not a fan of yellows, but should I decide to wear one, I will likely choose this with all it's sparkly goodness. 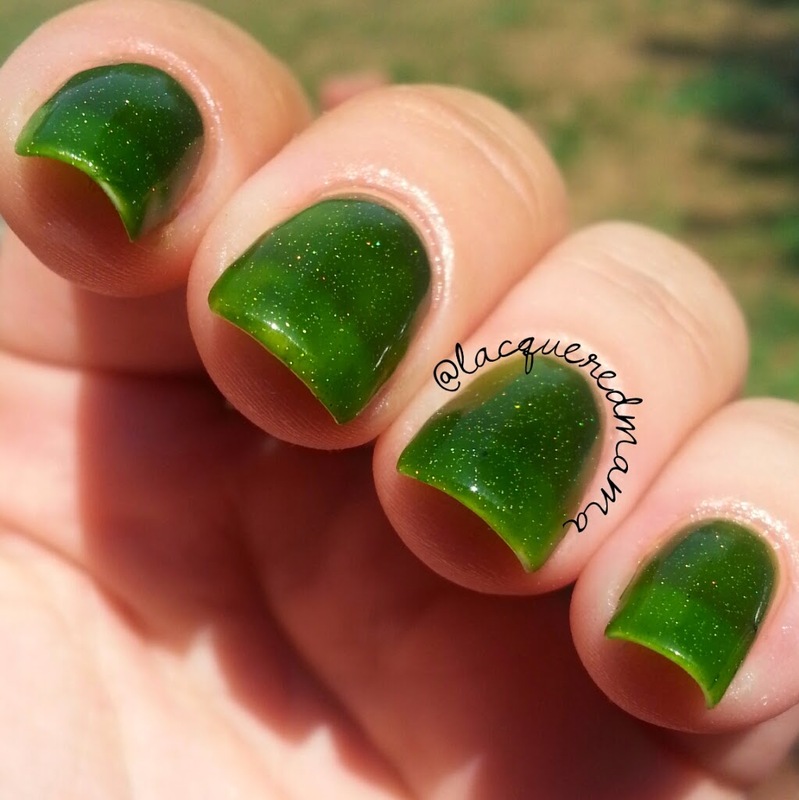 Next I have Ready to Mingle - simply a gah-or-geous green jelly with scattered holo. I love reds, but I really really love greens too! This one is amazing! 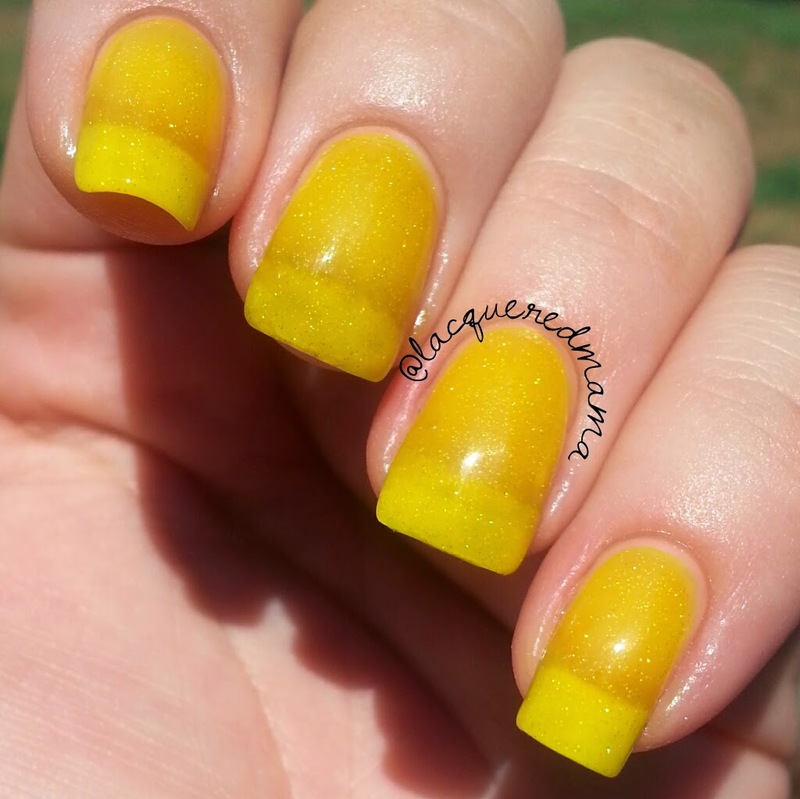 Another excellent formula and great pigment that again, did not require an undie! 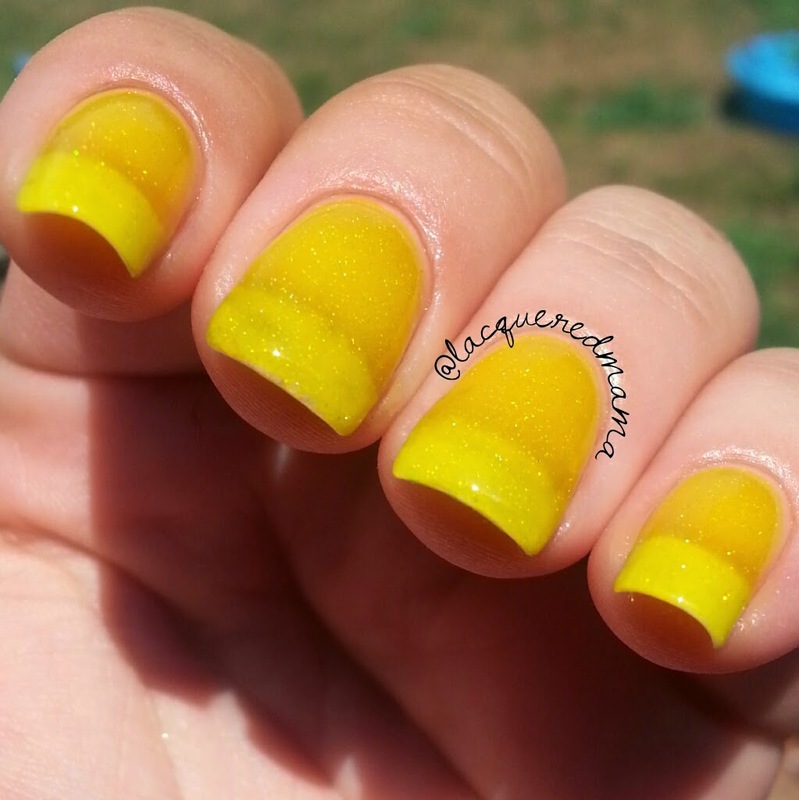 I did 3 coats, plus topcoat, but you could totally get away with just 2. 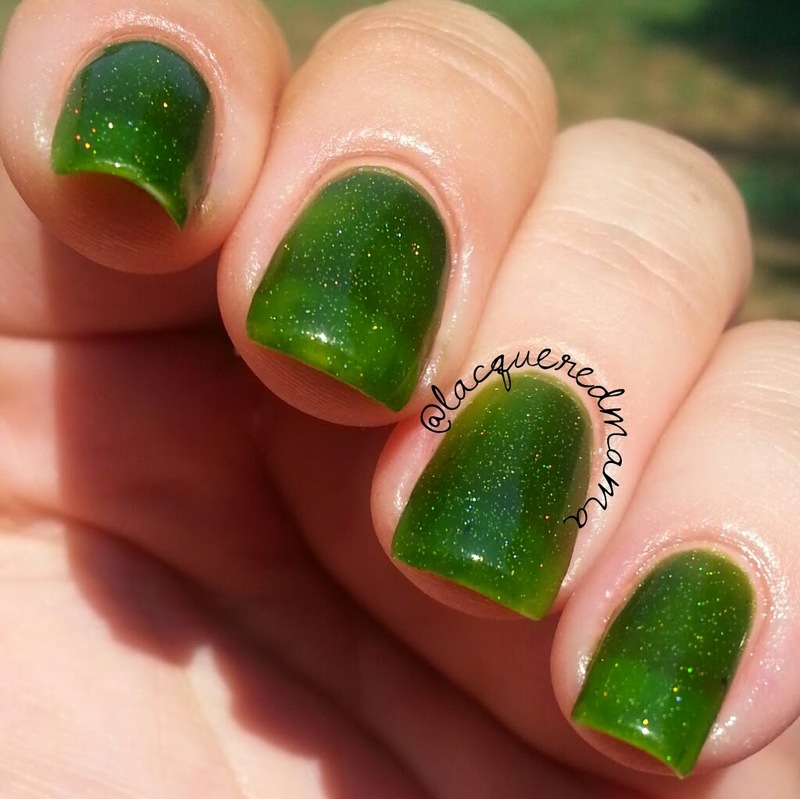 I love that this color of green is really pretty for summer, but I can't wait to wear it during the December holidays! 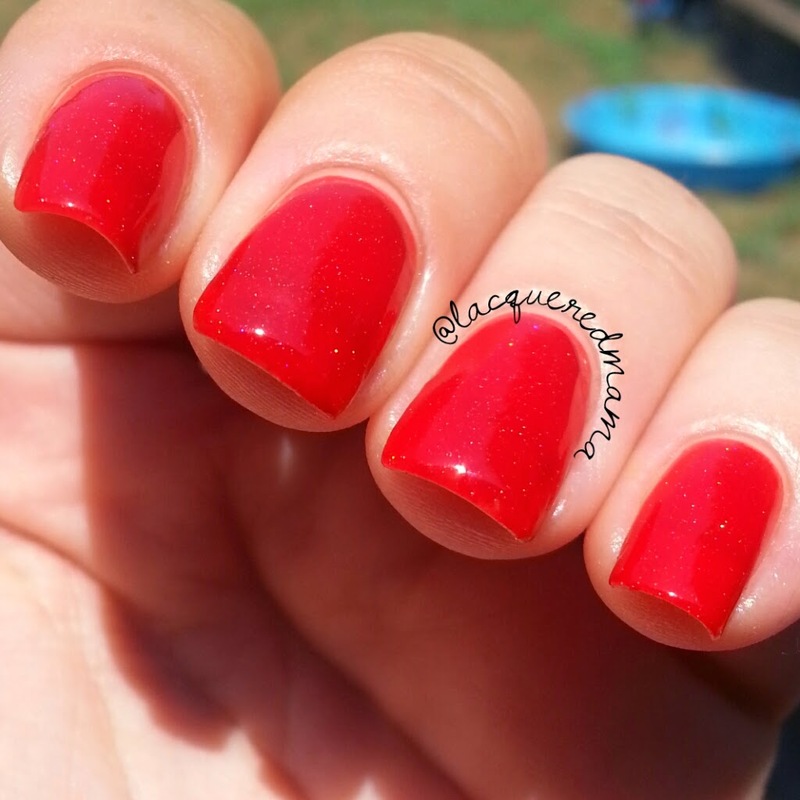 Lastly I have a single polish that Jessica will also be releasing. 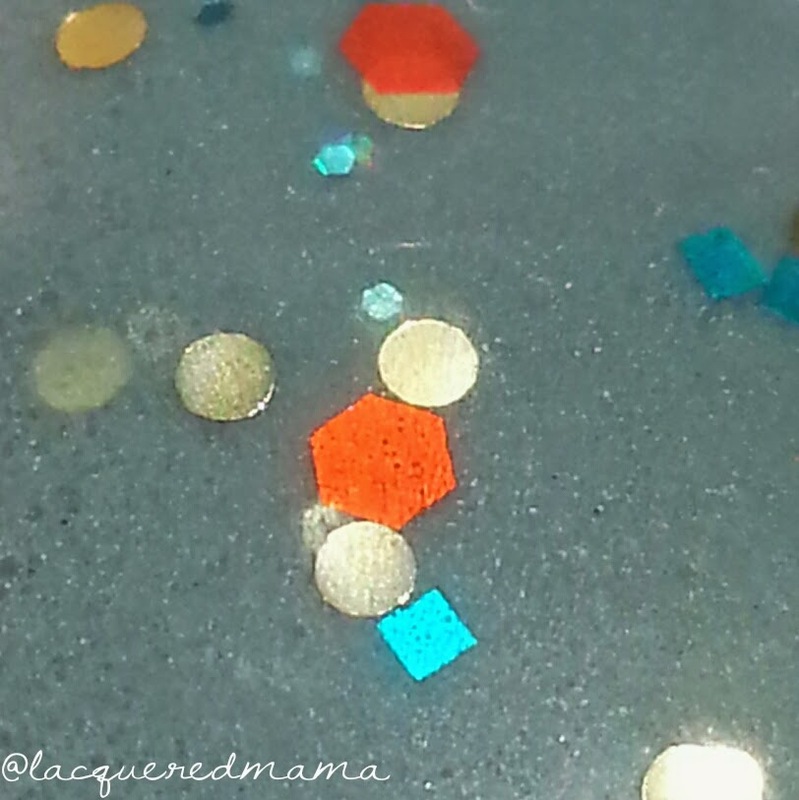 This is Be Brave - this is an amazingly beautiful, dusty teal jelly, with a really fine, teal micro shimmer; small gold circles, small red hexagons and tiny teal square glitters. This is clearly based off of Disney Pixar's movie Brave. Jessica nailed the color combinations perfectly to match the main character Merida, from her hair to her clothes. Another great formula here as well. I, again, did 3 coats plus topcoat with no issues at all. 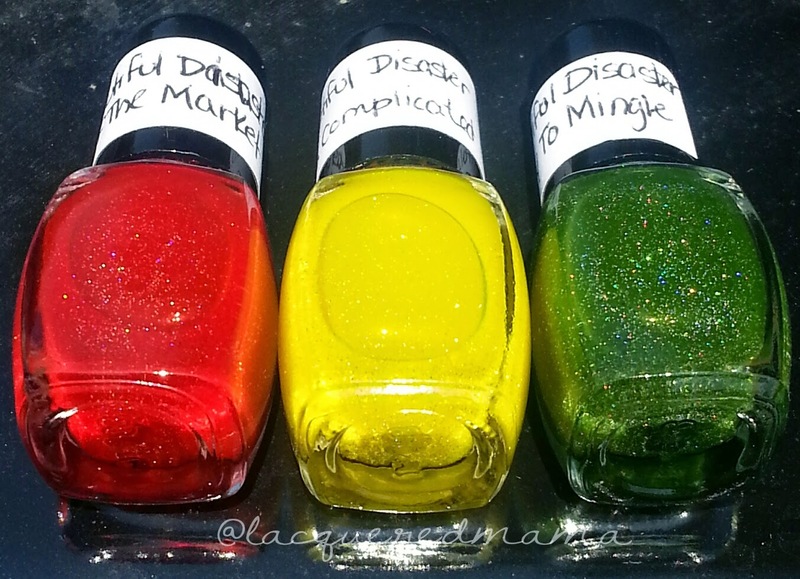 As Beautiful Disaster Nail Lacquer's first collection, I was really impressed and think Jessica did a fantastic job with the Stoplight Party trio! A really creative theme that I personally haven't come across before. 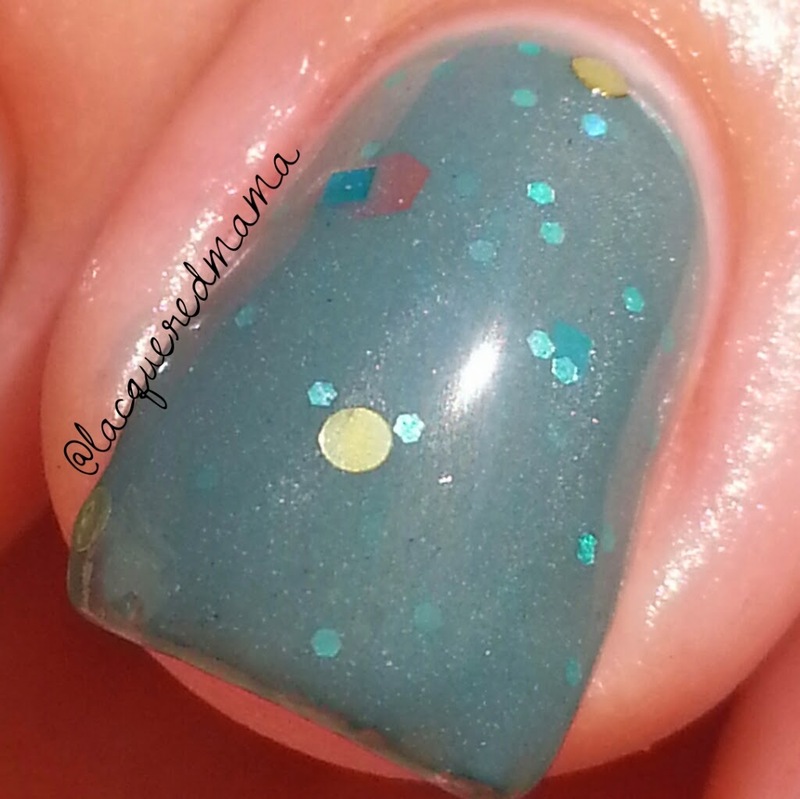 Be Brave was equally amazing in formula, color, and concept! 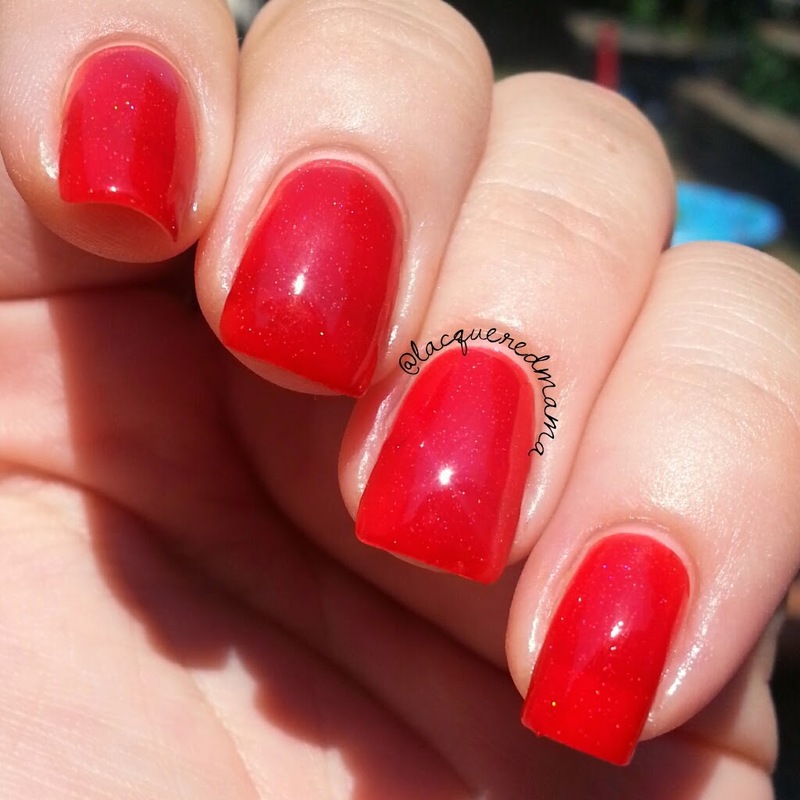 If you want to see more swatches, you can also check out @amylovesnewwave's review here! 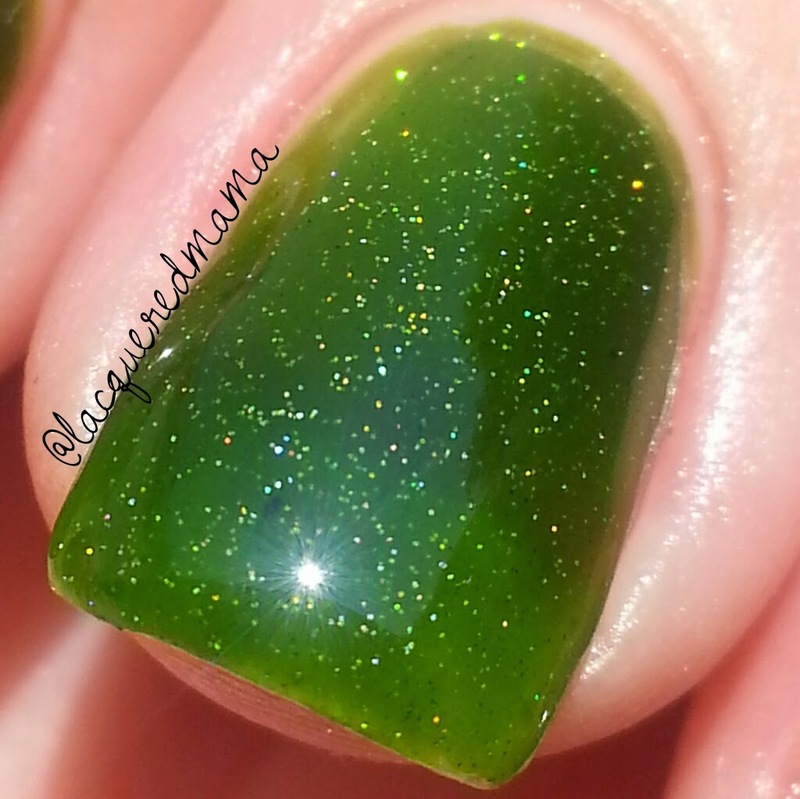 You can check out Beautiful Disaster Nail Lacquer's shop http://beautifuldisasterlac.storenvy.com , as well as follow them on Instagram and Facebook. Gorgeous swatches as always! I'm so excited for Jessica's release today! Thank you! And I agree...beautiful squishy goodness!